Sensirion�s SPS30 particulate matter (PM) sensor uses innovative technology that keeps the dust away from all sensitive parts and prevents its accumulation. This technology, along with high-quality and long-lasting components, enables accurate measurements for more than eight years while operating continuously for 24 hours/day without cleaning and/or maintenance. 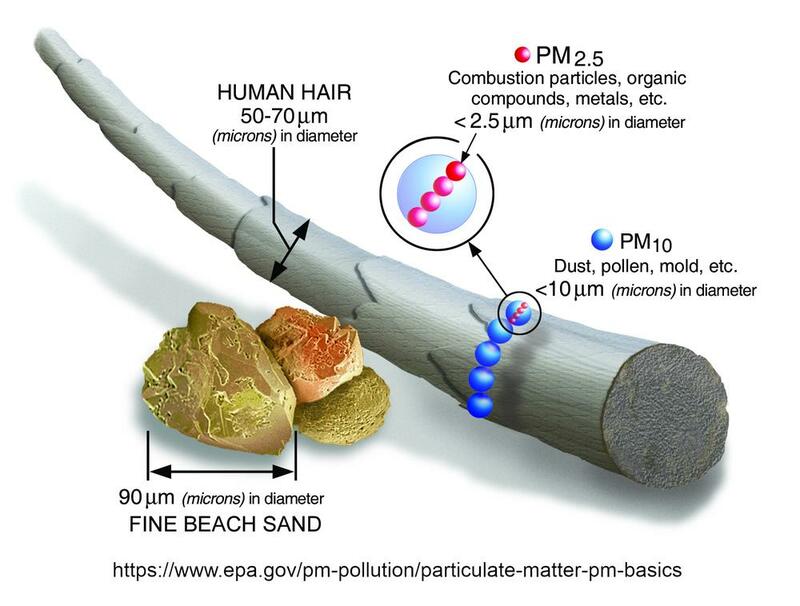 Also known as particulate matter (PM), aerosol particles consist of a complex mixture of solid particles and liquid droplets of organic and inorganic substances in the air. The major components of PM are sulphates, nitrates, ammonia, sodium chloride, black carbon, mineral dust and water. x stands for particle diameter that is equal to or smaller than x ?m. PM2.5, for example, defines particles with diameters that are smaller than or equal to 2.5 ?m. The most health-damaging particles are those with a diameter of 10 ?m or less, as such small particles can penetrate the human lung barrier and enter the blood system. In the United States, the Environmental Protection Agency (EPA) sets standards for acceptable concentrations of PM2.5 and PM10 particulate matter through the National Ambient Air Quality Standard (NAAQS) for Particulate Matter. 1. Sensirion developed an innovative technology that keeps the dust away from all sensitive parts and prevents its accumulation. This technology, along with high-quality and long-lasting components, allows SPS30 lifetime of more than eight years while operating continuously for 24 hours/day without cleaning and/or maintenance. 2. Laser-based scattering principle and advanced algorithms allow accurate measurements of mass concentration (?g/m3) and number concentration (No. of particles/cm3) for different types of dust and other particles. Lower limit of detection is 0.3um only. How Optical-Based Particulate Matter Sensors Work? Sensors utilize the properties of light scattering to measure particle count, size, and concentration. The basic components are: light source directed at the particles, detector to measure the light scattered by the particles and electronic circuits that process and analyse the detector output. The SPS30 is using laser technology to detect, count and measure particulate matter from PM0.5, PM1, PM2.5, PM4 to PM10 size. Alternative technology being offered in the market are using LED as light source. Below illustrations show the fundamental differences in terms of signal and measurement quality of laser and LED technology. 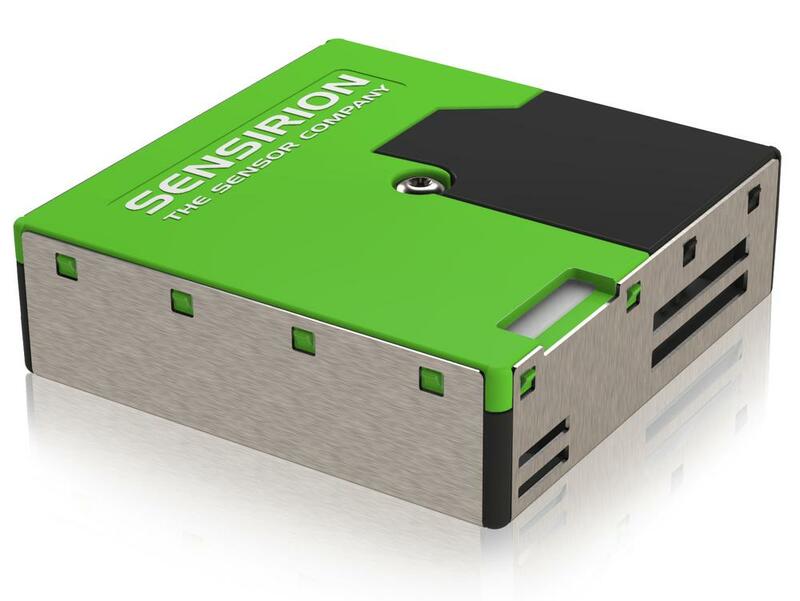 Sensirion will start SPS30 shipments at November 1 st, 2018. Pre-order the first samples now to be sure that you can start development as soon as possible.